When you're 17 you're bestowed by the government with the opportunity to learn to drive. 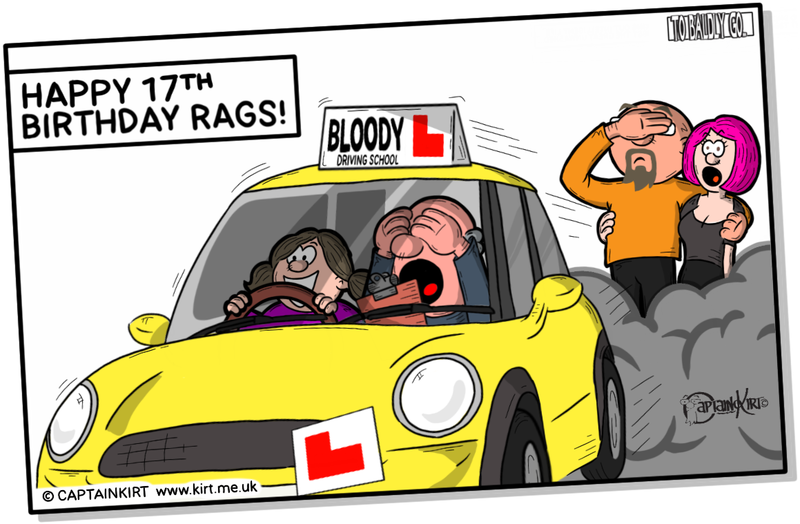 So that was to be Rags's birthday present, we applied for her provisional licence a few weeks ago so that we could surprise her with her first driving lesson. I've tried to instill in her that whilst I believe that it worthwhile to attain the driving qualification I hoped that she wasn't aspiring to car ownership too soon and a car doesn't give you independence. Not sure she's heard me since I do think she's dreaming of a car of her own. The cult of car is indeed powerful. Before anyone calls me out about car ownership I'll say in my defence that the car on my drive is technically my wife's, she is disabled and needs it to get out when she can. I cycle to work and have never subscribed to the whole 'needing a car' mindset. 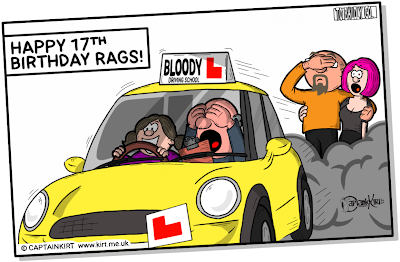 Rags had a good day and I think the surprise was well received. There was the usual cake etc. and tonight she'll be having a joint birthday party with her friend. I hope she enjoys being 17 much more than I did. 17 for me was a very awkward year for me, no longer a child yet not recognised as an adult - I think she'll handle it better than me, being 17 looks so much better these days than it was for me back in my day.